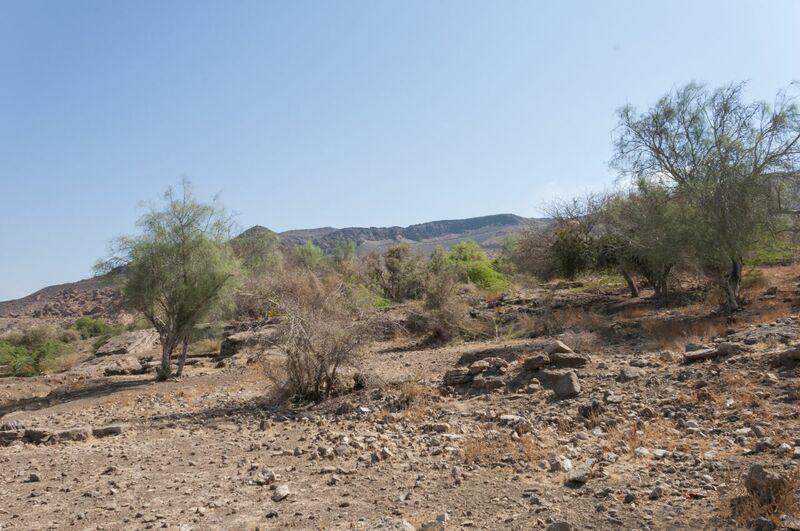 The Jordan Valley area, also known as Ghor Al-Ordon, extends along approximately 200 km from Lake Tiberias to the Dead Sea, the floor of the valley, flanking both sides of the Jordan River. 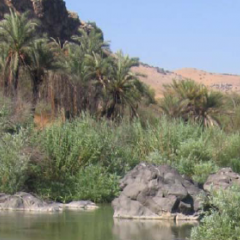 Due to variations in altitude, rainfall and soil features in the Jordan Valley's northern, middle and southern parts, a wide variety of vegetation is present. 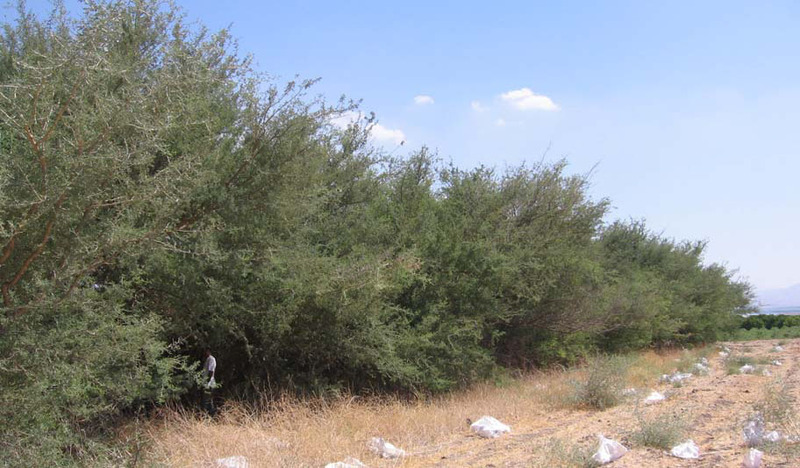 For example, Ziziphus lotus is a common species found in the northern Jordan Valley, while elements of tropical vegetation start to appear in the middle and as the altitude starts to decrease and temperatures increase. These include Ziziphus spina-christi, Balanites aegyptiaca and Calotropis procera. In the southern Ghor and as the soil becomes more saline, new shrub species like Nitraria retusa and Suaeda aegyptiaca appear. Other vegetation types, such as hot springs and Dead Sea vegetation, are also found in the valley, examples of which are Phoenix dactylifera, Phragmites australis and Juncus rigidus. 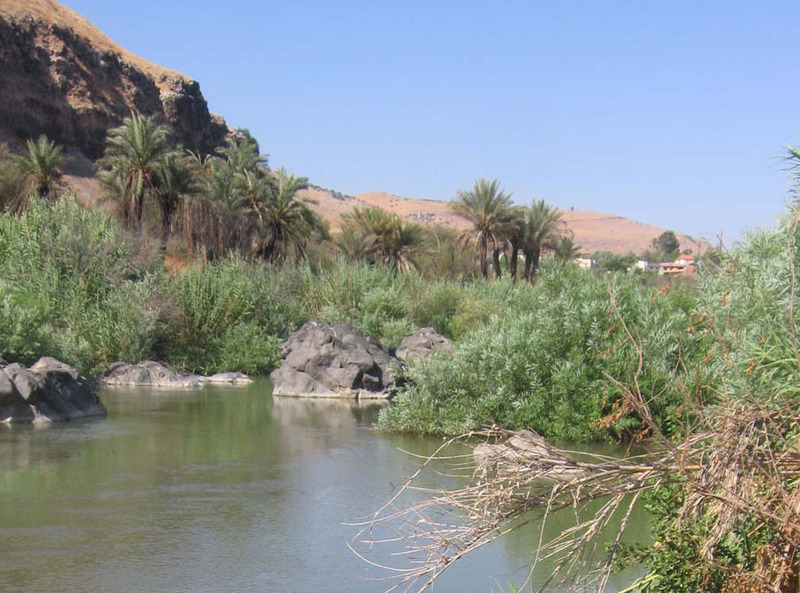 Unfortunately, the natural vegetation in the Jordan Valley is highly disturbed due to intensive agriculture practices and the mining industry. Consequently, many important plant species are considered seriously threatened. These include Moringa peregrina, Maerua crassifolia, Salvadora persica and Acacia albida. Conserving these plants is a crucial aim for the RBG. 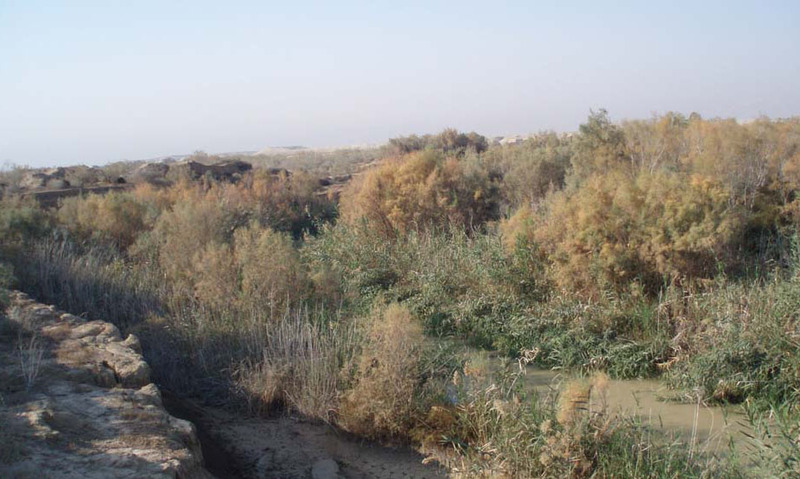 Given the variety in vegetation, it was a challenge for us to select a home habitat in the Jordan Valley that could feasibly be reproduced in Tal Al-Rumman. 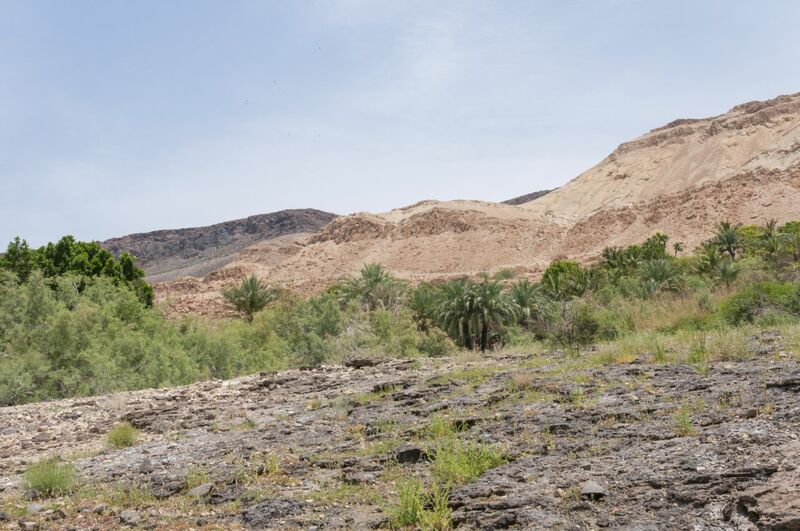 Recognizing that humans have shaped this landscape for millennia and that a “natural” site would not be found, the RBG team decided to draw their inspiration from the entire Ghor Al-Ordon when re-creating the Jordan Valley and Dead Sea Habitat in the Garden. We will thus focus, in Tal Al-Rumman, on planting native species from all parts of the Jordan Valley, in appropriate microsites. The area selected for the Jordan Valley and Dead Sea habitat re-creation at the RBG is, for obvious reasons, as low in elevation as possible (150-200 m asl). It borders the reservoir and has western and north-western exposures. The elevation factor is key, as the winters of the Jordan Valley are notoriously mild and balmy. Other factors considered in site selection were salinity (soil, water and atmospheric), clayey soils and other matters associated with water and water quality. 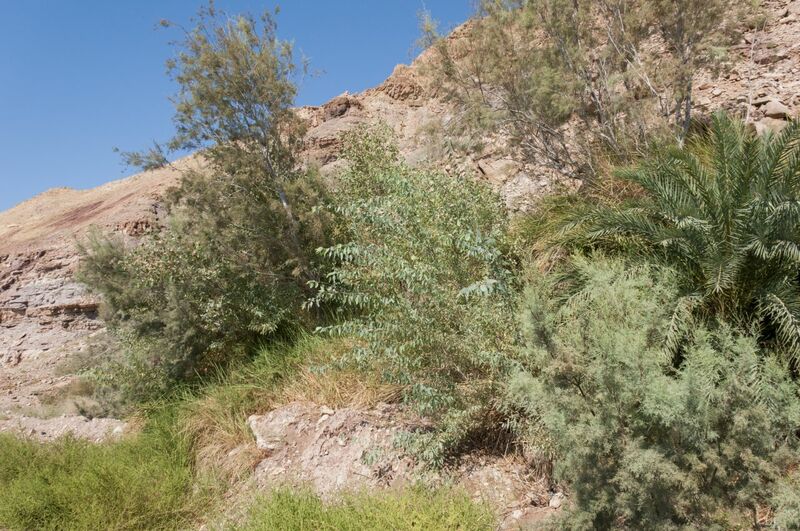 In the gallery below, you'll find pictures and information for some of the plant species in our Jordan Valley Habitat. More entries will be added over time. For a list of the leading plants that will make up the habitat, click here. Re-creating a habitat is a process that take much planning and time! 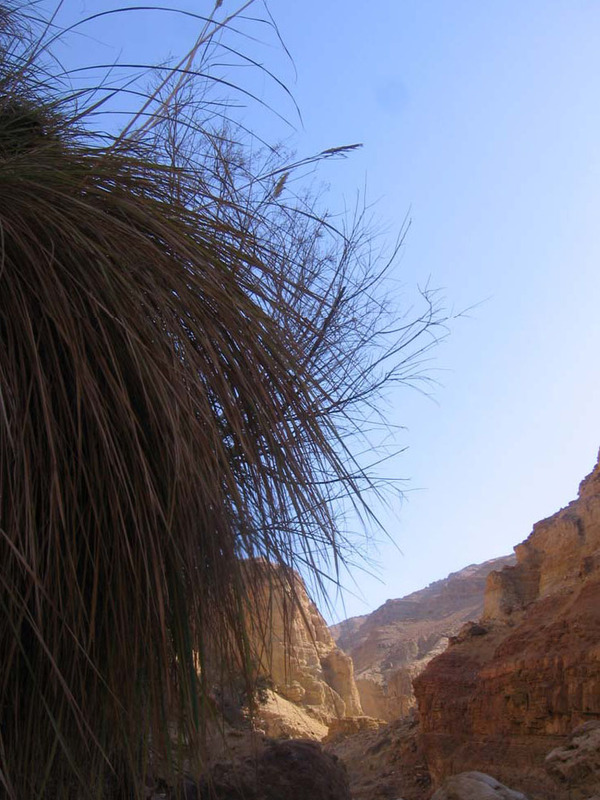 From subtropical Sudanian to arid Sudanian savannnoid, an astounding variety of plants is found in the Jordan Valley.